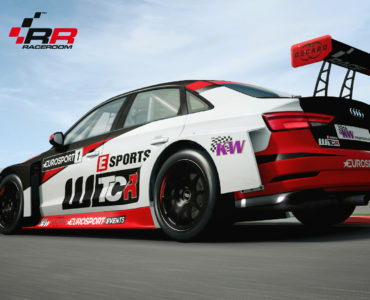 Sector3 Studios recently held a live-streaming session with several of the studios’ key personnel and ADAC GT Masters champion Kelvin van der Linde. A native of South Africa, van der Linde clinched the 2014 ADAC GT Masters title alongside Rene Rast, winning one of the strongest national GT3 championships. His experience is being put to work by Sector3 as Kelvin has provided plenty of physics feedback, the results of which will soon be available to R3E users as part of a major physics update for the GTR3 class. For more details, make sure to watch the recap of the stream below. for about 1 and half year. I remember I dint like the feel of the cars and the FFB (it felt a bit disconected from the cars and the roads). It was nearly a year I drove it last so I reinstalled it and went out for a testdrive. What a big difference!! Its like day and night difference ( have now a Thrustmaster that replaced my G27). What a absolute great driving that was. Ive realy have missed something realy special and for any simmer R3E is a must have. I wil buy the Group 5 pack and a couple off tracks immediatly and have a blast. Is there a new update? When i checked R3E few weeks ago with TX, it felt disconnected and every car felt like the other ones with different settings and performance. I tried to reinstall it, but it won´t boot up anymore. I have also TX. Didnt hardly touch any settings and it felt top notch. I also had problems booting it upp after my last computer wipe due to the windows 10 mess ( Went back to 7). After second instal no problems. As I said it feels like a complete new game since I last tryed it. Maybe you had to fidle with the FFB in the previus builds to make it better? I dont know if they have changed any physics also since the last try but it feels like it. More the opposite here. I used to love especially the DTM-cars and after some bigger update in spring i tried many settings to get my old ffb back, but it was gone and very flat than. The 2015-version just made it worse. Spring and Dampers on 100%? I was using more the opposite and that´s recommended more often. But anyway. Getting an Accuforce soon and what i heard, it´s not that good with R3E and i will keep racing other sims. Plus i bought four Bassshaker using SimVibe. R3E is just very flat and boring with Sim-Commander 4. No roadfeel at all, but i don´t know who´s to blame for that. The Spring and Damper-Settings will/should be overrided by the In-Game-Settings if the Driver-Settings are correct. The Accuforce isn’t fully supported by R3E – so yeah. It may don’t run very well with R3E but it I saw a few playing R3E with it. As far as I read, the Support for the Accuforce is in development at the moment. But I think it will need a bit more time. It was the exact same for me. Came back after a long time and I’m playing it almost exclusively right now. It feels and sounds better than my other sims. It doesn’t look quite as good as Project CARS but that lacks in the feel. I was massively impressed with R3E, with the graphics in particular they’ve done a great job, but then going back to AC there was no comparison really. 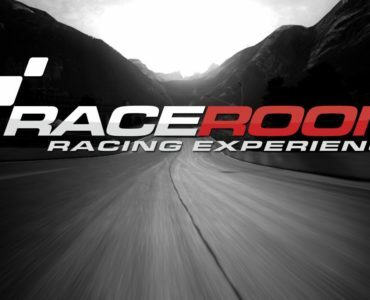 However with the Formula raceroom on the way (and hopefully more?) it might tempt some of us single-seater nuts in. The livestream was very entertaining. It’s good to see a real race driver giving feedback, sharing his opinion and answering questions. Very interesting stuff about tyres, car setup adjustments, etc. the understeer gt iracing physics is top ? for me it feels like old rf1 engine. did u play rf 2 ? 😀 i think the break physic alone is worth to set up rf 2 over iracing… THat a complete other level. Same opinion here:) rF2 with the right car/track-combination is the most immersive sim-experience for me (like Indy car on Donington) and even the Skippy is so much better in rF2 (also confirming real Skippy-Drivers). And FW-drive i a blast compare to any other sim out there. I was listening to the hole Video with Kelvin and watched him racing (with way to many mistakes for a pro). Actually he convinced me more in my notion, that pCars has maybe the most descent physics regarding at least GT3-car-handling, what his former co-driver René Rast already stated. Like Kelvin said, they are very easy to drive, because every driving aid is allowed and more or less used. In R3E it´s not even possible to get ABS in the real mode, which is always on in the real life. With DTM this is okay, because they don´t have this, but not GT3. GT3 means Endurance-races for most cases. You have to deal with >2 hours stints, slicks in the rain, always less grip in the night, tyres going bad, wrong racing lines because of overtaking or being overtaken, problems with the car and so on. Driving GT3 in R3E feels for me like all problems come together with a brand new car in perfect conditions. 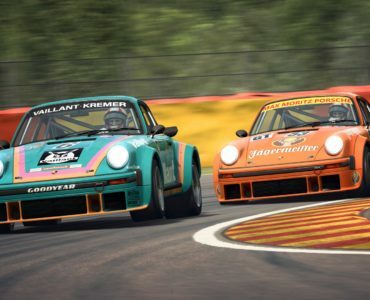 And being able to drive a GT3-car in AC, pCars or rF2 just isn´t enough to drive a GT3-car in R3E. To many handling-differences. I hope they fixed a few issues, but i´m not convinced. In R3E GT3 cars have ABS and Traction-Control like in the real cars and it is adjustable. The lowest Setting for ABS is Stage1, TC can be switched of completely when Setting it to 0% in Stage1 in the Car-Setup. But yes – the ABS and TC is not so much forgiving like in Pcars – but thats how ABS and TC work in a Racecar. I got more than 270 hours R3E on my steam account and where is the button or setup-menue for ABS in any car in get real? Only because they are difficult doesn´t mean they are accurate. They feel to floaty for me and I miss proper ffb for the tyre-grip in R3E and i don´t miss that in pCars, AC, rF2. All have settings for different track conditions, more or less, but no such thing in R3E. Progressiv track grip, detailed car settings and most telemetry data is missing. I enjoyed playing R3E at least as long the AI isn´t kicking me of the track. I really understand why people loving R3E as i did. But this 0.3… buildnumber is no understatement in every aspect. yes, ABS and TC is available in any car who has it in real life – despite ADAC GT-Masters 2013. ABS and TC can be set in Stages via a Button – like Brake-balance. Don’t know the original Button. I have mines set on the Wheel-Buttons. An indicator if the car has TC is the Car-Settup. There is a section where you can configure the TC-Stages. If everything is set to 0 (and greyed out if i remember correct) the car doesn’t have it. What you write about the floaty feeling is something that a few people complaining about and others can’t agree with. I’m pretty sure that it is a mixture between Wheel-Settings an Car-Settings. The Accuracy of the GT3-cars might be something like personal tastes?! IMO in PCars the GT3-Cars are to easy. GT3-Cars are quite comfortable to drive but the Wheight, Suspension and chassis allows/produces alot more movement in comparison to a DTM, LMP or even formular-car. That makes GT3-Cars more difficult in hard braking and quick corner-changes. I don’t feel it that much in PCars. In AC it is ok, but maybe a bit to close to a tuned roadcar in AC. I’m pretty sure that rF2 is better in that aspect. Even stability control is allowed and used in GT3-cars, but if you have problems to loose your rear end in pCars, you are not pushing enough (or have stability control active, what´s by default). And that´s what i like about the physics in pCars. You can push the car more than in other sims without loosing it and that´s what i see by watching GT3-races like VLN, 24h-Nürburgring and GT-Masters. 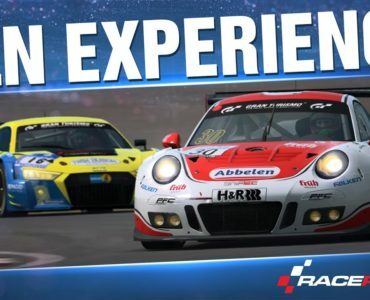 I saw more than one rain-race in GT-Masters this year without any car spinning and with full grip they are much faster than in AC, if you compare real 24h-laptimes before the speedlimit with the ones in the sim. Even with speed-limit the winning Team did lap times around 8:15 in the last hour of 24h Nürburgring without competition and no fresh tyres. In the VLN there are mostly amateur drivers on the track on 4h endurance-races and they are pushing the cars like maniacs in very dangerous corners of Nordschleife. In to many so called sims you can´t do that 4 hours without a crash and i don´t think that they are so talented. Most drivers just buy into racing-teams and many are not even sim-racers. The physics in rF2 are amazing and the feel of driving an actual car is the best. There are two GT3-Mods i know with very different car-behavior and handling. The Fia GT3 Mod feels so real, but the cars are crazy difficult to drive. Nothing what i saw. The EGT-Mod is IMHO much more accurate in this term (and much better than in AC), but it´s not free, i don´t know how they got the car data, so it´s out of the competition. In R3E i never felt connected to the GT3-cars and always had to learn the break and throttle handling for each corner again, after spending two, three weeks with “the same” cars in other sims. With AC and pCars not so much and learning the handling of cars in rF2 is an awesome lesson for getting better skills in other sims apart R3E. But if you want to get a good R3E-diver, just practice R3E and nothing else. Stability-Control is forbidden in FIA GT3 since season 2014. The reason that you see less spins and accidents in Races like VLN or other Series with Gentleman-Drivers, that a damage costs alot, an impact hurts and the feeling for the hole car is simply better in real life. There is no effect that has to be simulated. In racing games the tendency to push a bit to hard or over the limit is just bigger. The thing with learning to brake and throttle in every corner – isn’t that normal? Finding the right brakepoints is essential – especially for GT-Cars because the transferred weight and chassis-movement is just bigger. I’m quite interested in the way how R3E will feel after the Physics-Update. So, they are not pushing that far because of money. And why are the lap times so much better for real? I saw them pushing to the very limit both pro and amateur driver. If you care about your car, you don’t drive Nordschleife at all. That logic seems a bit strange, for me the GT3 cars are easy (and therefore incredibly boring) to drive in AC, and then other cars are tricky. If a games generally easier to drive, that doesn’t mean it’s better, or if it suits a particular type of racing (which I think all the sims do to a certain extent) when the aim’s for all cars to work well. Yes I think rF2 has made great strides but iRacing is a tad better physics wise but overall I have to give rF2 the nod.